The Porsche 917 was a technological challenge in itself amd lots of testing was esential to make a drivable racer out of the car. In May 1970, as a preparation for Le Mans and the subsequent races, yet another test at the Nordschleife was conducted. 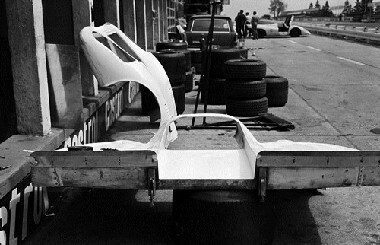 Do you have a question concerning our product 'Porsche 917, Nürburgring Test 1970 ' ?